If you’re suffering from allergies or asthma or eczema, I bet you’ve looked into countless remedies and treatments. A quick search on Google will show you that there are dozens of new treatments and natural remedies that are said to cure these conditions, but many of these treatments come with a hefty price tag. When my son was first battling eczema, as well as terrible allergies and asthma, I decided to take him for NAET treatment. NAET stands for Nambudripad’s Allergy Elimination Techniques and is a non-invasive, drug free solution said to eliminate allergies of all types. 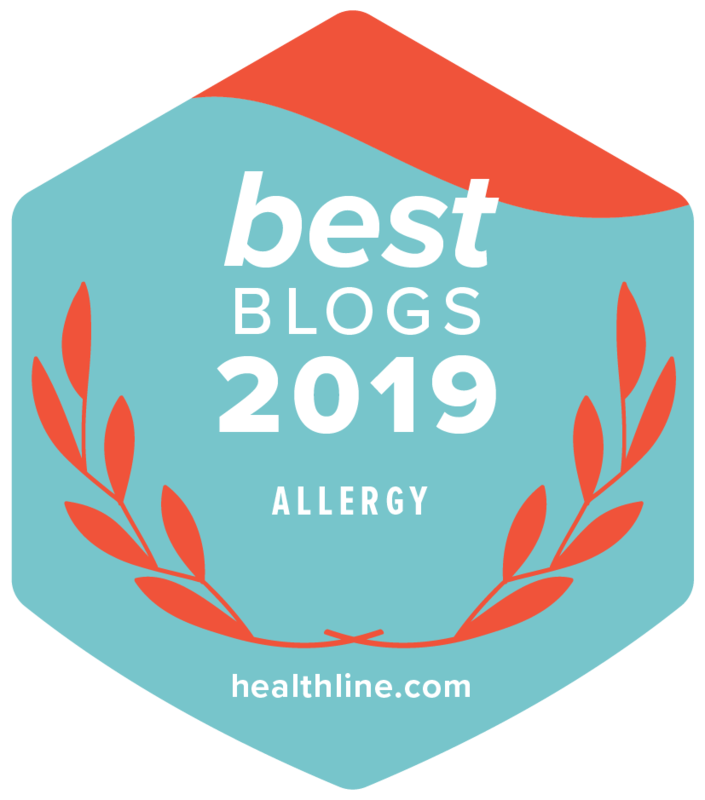 Since allergies and eczema go hand in hand and food and pollen and other allergens are often triggers for eczema, I figured NAET could help my son’s severe eczema allergies and asthma. 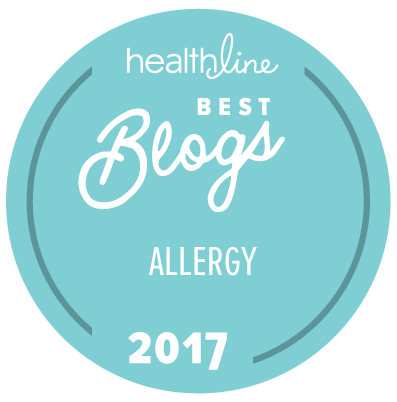 This week, I’m sharing my experience with NAET allergy treatment. When my son Tristan was three years old, we were honestly at our wits end with his allergies, asthma and eczema. You can read more about our story here. At the beginning, he displayed the classic dry skin and small little pink patches of irritated, inflamed skin. Naturally (or not so naturally), I turned to countless cortisone, drug store creams, and natural creams, but nothing seemed to stop his skin from getting progressively worse. Eventually his condition was so severe that his body was 90% covered in what looked like burn wounds. I was desperate to help heal his itching and damaged skin. Upon researching various treatments out of sheer desperation, I landed upon NAET allergy treatment. We searched for a local practitioner and found an acupuncturist who was able to offer NAET therapy. Please keep in mind that I am in no way a medical professional. If you are experiencing depression or severe eczema, please make sure to seek medical advice immediately. NAET Treatment is not a standalone treatment or cure for allergies, asthma and/or eczema. NAET therapy should be conducted by a licensed practitioner only. How Does NAET Testing Work? When we first started NAET, nothing prepared me for how odd the testing and treatments would be. Because Tristan was only three years old, the NAET therapy practitioner suggested testing him through a parent (which supposedly makes the testing easier and more reliable with young children). I laid down on the practitioner’s table and was given a small glass vial to hold in one hand. I was instructed to hold my opposite arm straight up, 90 degrees out from my body. I was told to resist as much as possible as the practitioner tried to push my arm down to my side. My level of resistance indicated how sensitive I was to the substance in the glass vial. Wait – what?! It was explained to me that your muscles weaken when your body comes in contact with something you are allergic or intolerant to. So, if I wasn’t able to resist the pressure the practitioner applied to my arm, and my arm gave way, this would identify a sensitivity. If I could withstand the pressure and my arm didn’t move, then I wasn’t sensitive to the substance in the vial. This type of testing is called applied kinesiology or muscle testing. Not only was I completely thrown off by that, but when they included Tristan into the NAET testing, it got even weirder. After first determining my own lack of sensitivity to the substance in the vial, the practitioner asked Tristan to take the vial in his hand and with the opposite hand touch me, so he held my hand. I raised my opposite arm and the practitioner again tried to push down. We did this NAET test again and again. I think the first day we did the same test described above 15 times – that’s 15 different vials of substances ranging from vitamins and minerals to sugar, NAET’s basic 15 that they like to test and treat first. Between testing each substance, I was told to rub my hands together vigorously to clear the energy from the past substance. My arm was feeling pretty tired by the end, but the practitioner adjusted his pressure on my arm so I wouldn’t have to resist so much at the end. The first day of NAET testing was finished and guess what? The results were different whether it was me alone being tested or together with my son. I was really surprised. This showed my son and I often had different sensitivities, although some were the same. Like the testing, the NAET allergy treatment itself was just as obscure. The practitioner placed a vial in Tristan’s sock where it could safely stay for 20 minutes while being in direct contact with his skin. The practitioner then laid Tristan on his belly and thoroughly rubbed all the essential Chinese acupressure points of his body (this was done instead of acupuncture). After this, the practitioner tested us again to see if the NAET allergy treatment took. Again I raised my arm, held my son’s hand with the opposite arm, and the practitioner tested my resistance. If I was able to resist, we were sent to the waiting room where my son had to wait with the vial in his sock for 20 more minutes. If I was still not fully able to resist, the practitioner gave the massage again and then retested us, repeating until the treatment was successful. At the end of each NAET treatment, Tristan was not allowed to have any type of exposure to the substance being treated for a 25-hour period. For example, when we treated him for calcium, he could only drink and clean himself with distilled water that was sure not to contain any calcium and had to abstain from milk and other foods high in calcium. After going 30 times and getting 15 basic treatments over the course of a few months, I’m sad to say it didn’t do much for him. After the initial treatment for Brain Body Formula (which is what our practitioner likes to treat first to balance the brain and body connection), we did see a little bit of an improvement in his skin. However, once we continued the NAET treatments we saw no further change in his allergies, asthma or skin condition. I personally saw another practitioner to have myself treated for multiple minor health issues including severe pollen allergies over the course of six months and I sadly didn’t see any results either. But I did feel the testing for both Tristan and I was pretty accurate, just not the treatment. So why did Tristan’s first session work? Well – we chalked it up to the eliminating stress that caused his eczema to flare up by balancing the brain and body. To be honest, we worked really hard at the NAET treatments and we were obviously discouraged that it didn’t take. However, that doesn’t mean that the treatment does not work for everyone. It just wasn’t the answer for us. I will say that I have heard of just as many successes with NAET as I have heard of failures. Perhaps it’s about finding the right practitioner or the body being more open to this type of treatment, but for us, it just didn’t work. Like most treatments with eczema and allergies, what works for one person might not work for another. Interested in NAET Allergy Treatment? Although NAET didn’t help us, we do encourage seeking out any natural, non-invasive treatments that might help heal your allergies, asthma or eczema while under the care of a medical physician as well. If you can afford it (as it is quite pricey) or if your insurance can cover the treatments, then I wholeheartedly recommend you test it out. Treatments usually start at about $80 per session and can go up from there. Keep in mind that to be treated, a minimum of 10 visits is usually required. For more information and NAET reviews, make sure to check out NAET’s official website here. Feel free to also leave a question or comment below and I’ll do my best to answer you! If you’re looking for more natural solutions for eczema, please read our guide Start Here for Eczema Relief. And check out these 7 Holistic Eczema Treatments to Try! Bio: Jennifer is the author of It’s An Itchy Little World blog, as well as owner of The Eczema Company. After going through so many trials and errors to heal her son’s eczema, Jennifer wanted to share her experiences and favorite products with others in need. Jennifer is not a medical professional. Her comments, suggestions, and reflections are not intended to take the replace of medical advice. Always seek the help of a medical professional before undertaking any diet or lifestyle changes. Please see It’s An Itchy Little World’s disclaimer for information about affiliate links and more. In the hopes of helping someone out there…. As an infant I was covered in eczema. After years, we learned the cause was a dog. In later years the same thing happened to me when a dog was introduced into the home. We had to get rid of it. But people’s health is more important than a pet. My youngest daughter was diagnosed with atopic dermatitis as a toddler. Her asthma had eventually pretty much gone away but not the eczema. She is 10 now but last September her eczema flared out so bad that she would wake up 3-5 times every night, itchy for about 30min to 1 hour. She wakes me up so I help her scratch because when she scratches, she tears her skin. After going through what many moms have, visiting various doctors, trying different skin stuff, etc, I took her to a functional medical practitioner. She had blood and stool work done and was diagnosed with leaky gut syndrome. Made sense, she was born with a fever, had several ear infections over the years, lots of antibiotics, asthma flares up with steroid meds. After receiving the report back, her blood work showed red in many foods. So I had to eliminate them–all grains, rice, nuts, coconuts, corn, soy, eggs, dairy–basically everything except fruits, vegetables, and meats. After 4 months of this elimination, she was still itchy and didn’t seem to be getting better. The doctor noticed her leathery skin telling me that her body is not taking in the nutrients. She referred me to another practitioner that performs NAET treatments. I was amazed by this whole procedure–it is different and unbelievable but after visiting and going through several treatments within 3 months, my daughter’s skin got better! The leather look was disappearing and her skin wasn’t red all over–we could actually see beige skin. She is still itchy, but now she wakes up 1-2 times a night for about 10 minutes instead of 3-5, 30-60mins each time. Both doctors did say that this is not something that is going to go away overnight because she’s had the problem for 10 years and she has leaky gut, it is going to take a couple of years to heal so we still have a ways to go, but I can see a big difference with some relief now. Food plays a big role in healing as well as probiotics and the NAET treatments have really helped. Oh, something else interesting, the NAET practitioner had mentioned that we are all born with leaky gut but as infants, just like all parts of our bodies, the gut develops and closes but the medications especially antibiotics, kill the good bacteria and the gut doesn’t fully develop. It’s all about the gut health and with proper food nutrition, we can fix it. I recently tried a retinol skin gel for the face on an eczema spot on my hands and it healed overnight and shocked me! I wanted to share my shock and surprise. Maybe …….. fingers crossed this is an answer? Thanks for everyone’s input here. This site is such a wonderful support and resource thank you!